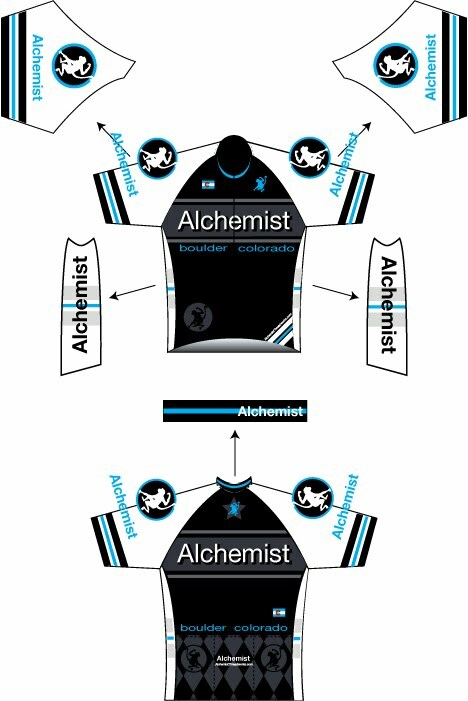 Been working on an Alchemist team kit. Here’s the jersey. It’s not for public consumption so you won’t find it at alchemistthreadworks.com. It’s for team members only. Whatever that means. But I hear JHK is considering riding for Team Alchemist. I’m hoping to unleash the kit this summer, but I might need to actually sell a couple shirts to justify the expense. It would be cool to have them for the Breck Epic. Hope all are well. Don’t forget to check out Alchemist at AlchemistThreadworks.com if you are really bored at work, or need to pretend like you aren’t.